Categories: ApiZzz Honey, Bulk Sizes, Raw Acacia Honey. 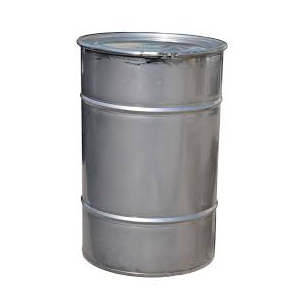 Acacia Honey is collected from the flowers of the acacia tree. Acacia Honey derived from the acacia tree is said to be an excellent sweetener it also has a delicate floral aroma. Usually it is a light straw color. 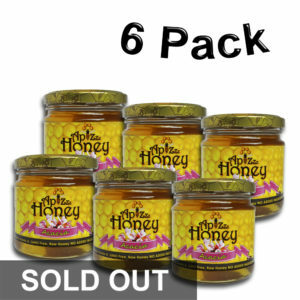 Acacia honey does not crystallize for a long time like many other floral variations of honey. Due to its high fructose content and as other acacia products, contains excellent health benefits. Acacia honey is known to kill germs, aid in digestion, relieve diarrhea and can be used as salve to help wounds heal faster.According to research this type of honey is recommended for the treatment of diseases of the gastrointestinal tract, the acidity of the stomach and kidney diseases. Per Department of Biology (Department of Biology, Honey Research Center, University of Rome ‘Tor Vergata’ Via della Ricerca Scientifica 1, I-00133 Rome, Italy), Acacia honey research has shown to effect difficult diseases such as cancer due to its antioxidant property. 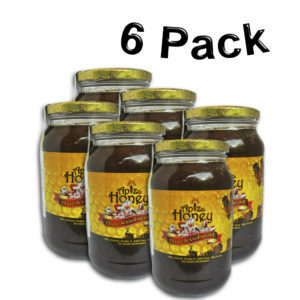 Be the first to review “Acacia Honey 290kg/639.34lbs” Click here to cancel reply.